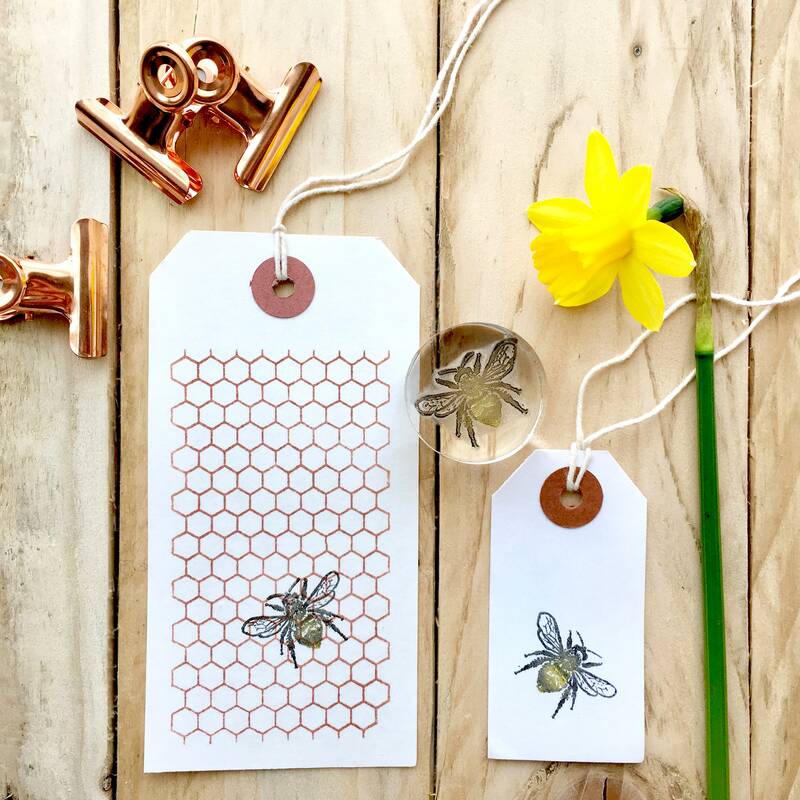 Honeycomb Rubber Stamp. 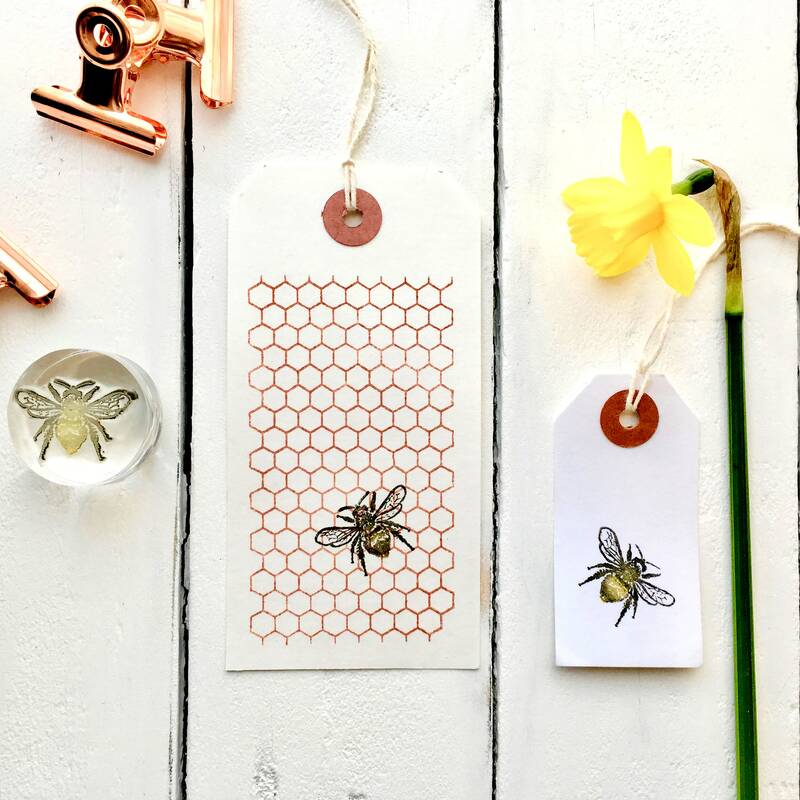 Honeycomb Clear Stamp. 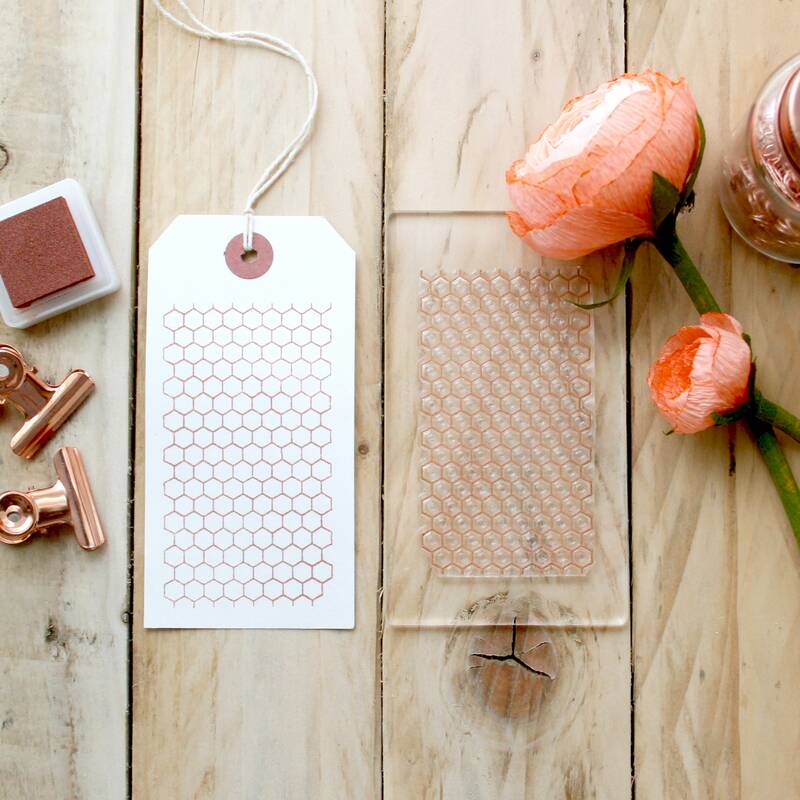 This Geometric Honeycomb Stamp is perfect for adding backgrounds to your cards and designs. Bee not included, see seperate listing. This stamp is very easy to clean and can be washed with baby wipes, or with warm soapy water. Stamps are hand cut from a clear soft plastic, and hand mounted to a Clear block if a block is purchased. 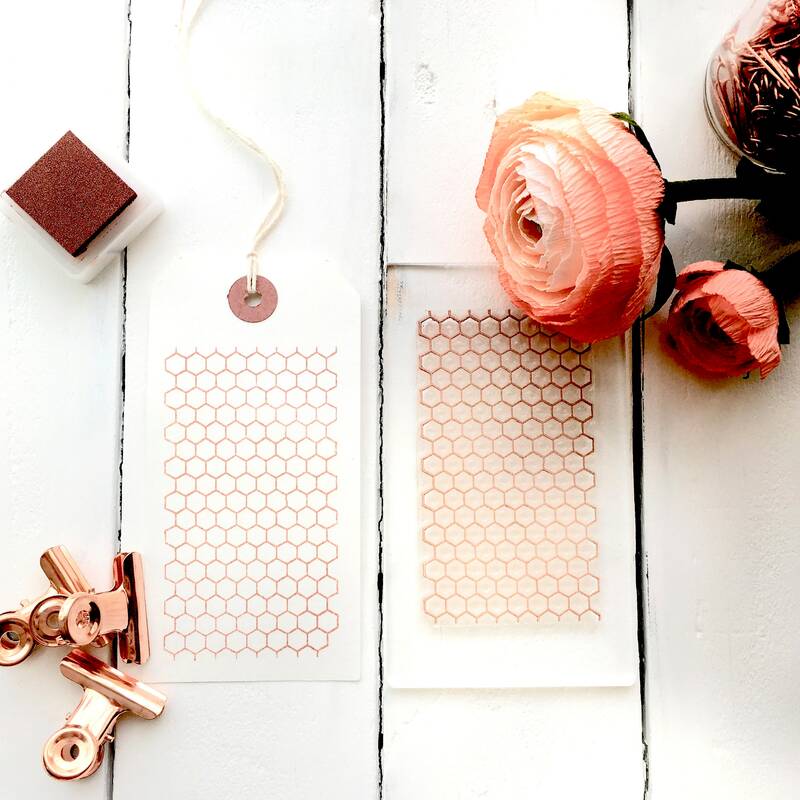 The Honeycomb Hexagon Geometric Stamp measurements are approximately 5.5cm x 4cm.